SNAFU! : China's Next Gen IFV? I've been waiting for at least a year for China to come out with their next gen armored fighting vehicles and it looks like the wait is over. This should send a chill down the spine of Marine Corps leadership but I could see this coming from my desk chair. The wrong lessons have been learned from the wars in the Middle East and the Russian "little green" campaign in Ukraine. To be precise, armor still counts, air power can be blunted and close combat is still a bear. Dog meat against a mechanized formation! The Marine Corps seems to be building into itself the same vulnerabilities as SOCOM faces. Have you noticed that in Syria we saw SOCOM "getting heavy"? Did you notice in Ukraine that close air support was almost non-existant due to formidable air defenses right across the border? When these new IFVs hit deck and when we cross swords, I fear we're gonna read stories about a USMC Gunny telling his tale of having to escape and evade (much like we heard from the Ukrainian LT) while being hunted by enemy infantry, tanks, UAVs, military working dogs and helicopters. We are being foolish to throw away what was the most complete combined arms team on the planet. Future Marines will wonder what drugs we were taking and why no one spoke out against it. What do you see on this new vehicle? Optics heavy. Sensor heavy. Can't tell the caliber of gun but it appears to at the very least be a 30mm and maybe larger. 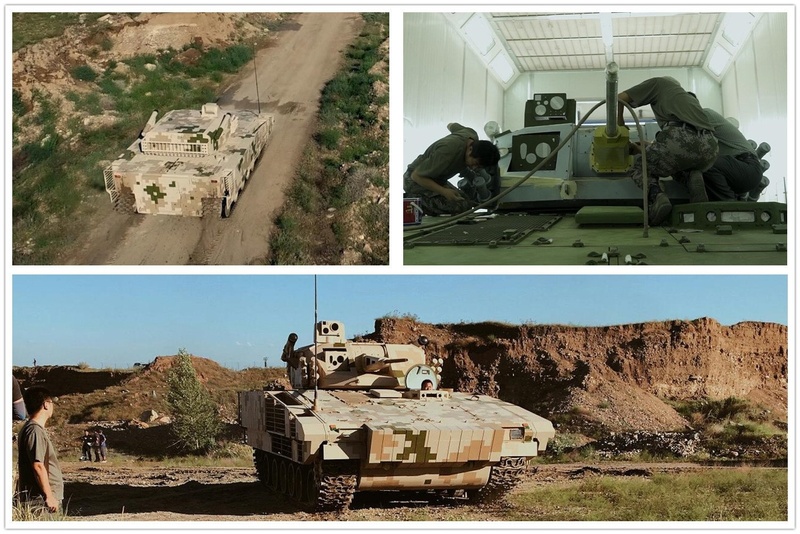 Lots of armor and seems to be following the Western trend of going heavier when it comes to IFVs. Despite the add on armor it still appears to be relatively compact. Does that mean its sacrificing troop carriage for armor protection? Probably. Will we see a dedicated APC version? Maybe, I don't know what their thinking is but the new Combined Arms Brigades they're building would seem to favor firepower and speed/shock over infantry. What don't I see? An APS. Something tells me Russia is gonna get a call to sell them a few....if they can't steal it!